How to use Arc Soul in Destiny 2 and how to get the most out of this Warlock ability. Destiny 2 brings back a lot of what we loved about the original game, along with a few new tweaks to give certain aspects a breath of fresh air. While almost every single subclass returns in Destiny 2, a lot of them have undergone a few changes. Most notable is the Warlock Stormcaller, which now has an interesting perk called Arc Soul. If you want to get the most bang for your buck, you’re going to want to know how this little perk works. 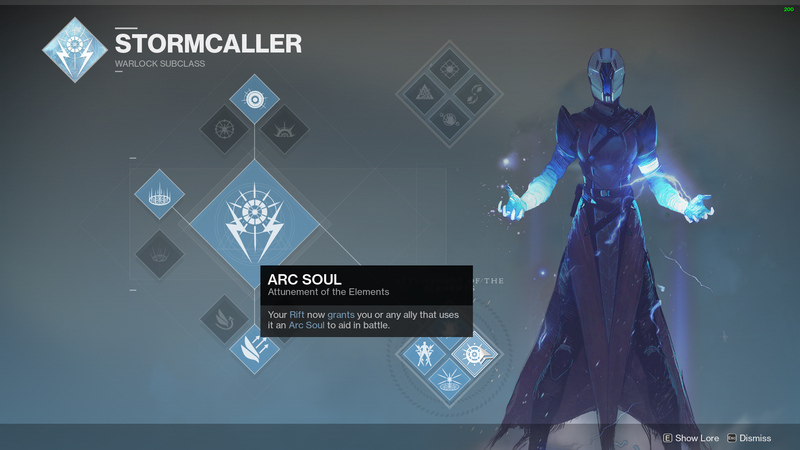 The Arc Soul ability belongs to the Attunement of the Elements perk cluster in the Warlock’s Stormcaller subclass. This perk cluster focuses on using your Super as soon as it’s ready and improving the Warlock’s Rift Class Ability. The Arc Soul has a simple to understand description, “Your Rift now grants you or any ally that uses it an Arc Soul to aid in battle.” What this equates to in-game is that any ally, whether they’re in your Fireteam or a random player you meet in a public area, will receive their own Arc Soul as soon as they enter your Rift. Floating by your shoulder, the Arc Soul is essentially a hovering turret that automatically selects a target and fires a three-round burst of Arc energy at enemies. Though it can select any target around you, it will typically fire at whatever you’re currently shooting. When you’re outside of the Rift, the Arc Soul will only remain active for 8 seconds, of these precious seconds, it will usually fire between 4 and 5 times – which equates to 12 or 15 Arc shots. However, if your Arc Soul disappears or if you want to refresh the timer, simply jump back into the Rift. You can even stay in the Rift to prevent it from counting down at all. This essentially makes the Arc Soul last as long as the Rift, making it deal significantly more damage. Couple this with the Empowering Rift perk and you’ll have a little turret that deals significantly more damage. During a raid encounter or a Public Event, having six (or even 9+) people with an Arc Soul standing in an Empowering Rift means a notable increase in your team’s damage output. For the Emperor Calus fight, Arc Soul cannot be ignored – especially when you consider a team managed to defeat Calus using Arc Soul alone. Because the bottom perk cluster has the Electrostatic Surge ability, which makes the Rift charge faster when you’re near allies, you should have no trouble having a Rift available during boss damage phases. 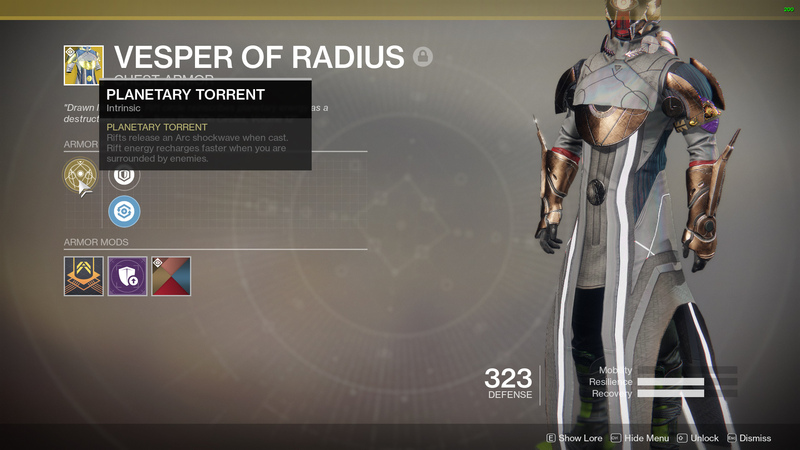 There is a way to ensure you certainly do not miss out on any Rift energy, and that is by using the Vesper of Radius Warlock Exotic chest armor. 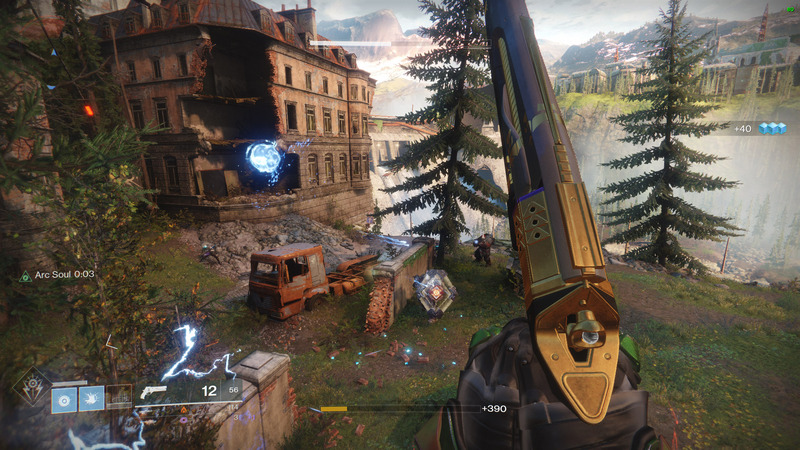 The Vesper of Radius’ main perk is called “Planetary Torrent” that does the following: “Rifts release an Arc shockwave when cast. Rift energy recharges faster when you are surrounded by enemies.” For a section like Emperor Calus or the Royal Pools, you are practically always surrounded by enemies while trying to deal damage, making it extremely likely you’ll have your Rift up before the first one expires. Keep in mind that the Arc Soul ability does not stack. If there are two Warlocks using the Arc Soul ability and they both use their Rifts, you will not get two Arc Souls, you’ll only get one – so it’s better to stagger Rift uses, unless of course you’re trying to stack a Healing and Empowering Rift. As for Crucible, Arc Soul can ever so slightly tip the scale in your favor. You essentially have free damage over an enemy, which will absolutely improve your time-to-kill. However, it does mean giving up the ability to Blink while using Stormtrance – an extremely potent ability for closing gaps and disorienting enemies. Overall, the Arc Soul ability in Destiny 2 can be a major asset in PVE activities where a lot of players are grouped together, such as Public Events or boss encounters in a raid. In PVP, like Crucible or Trials of the Nine, Arc Soul can be devastating for an opponent, but it does mean giving up some other top-tier perks and abilities. Be sure to check out our Destiny 2 complete strategy guide for other information and tips on class abilities as well as commentary on the current weapon meta.